Lane Bryant stores offer a variety of options for plus size women looking to dress comfortably and trendy, all while keeping their budgets in line. 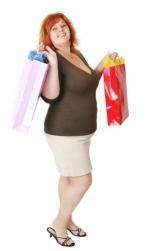 Lane Bryant clothes are available online or at one of many shopping malls throughout the United States. More than likely, any plus size woman, no matter her age or taste in clothes, has heard about Lane Bryant. After all, the store has been around for more than 100 years and has catered to not only full-figured women, but those seeking maternity fashions as well. Lane Bryant was started in 1904 by Lena Bryant Malsin, a young widow looking to support her family by dressmaking. A bank officer misspelled her name from Lena to Lane, and hence the name, Lane Bryant, was born. Her first shop was on Fifth Avenue in New York City. Lena is credited for creating the first commercially made maternity dress after one of her customers requested such a garment. Just before World War I, Lena, whose new husband helped expand her business, started seeing the need for "stout-sized clothing" and set out her latest, and most profitable, venture: Plus size clothing. By 1923, company sales had topped $5 million -- something completely unheard of at that time. The first branch retail store opened in Chicago in 1915. Lena Bryant Malsin stayed at the helm of her operations until her death in 1951, when it was taken over by her two sons. In 1982, they sold the company to The Limited, who in turn sold it to its present owner, Charming Shoppes, in 1999. In the early years of the 20th century, many newspapers and magazines discriminated against advertising for not only plus size women, but pregnant ladies as well. So when Lena was unable to successfully market her clothing lines via the print media, she decided to go through the U.S. mail. Her mail order catalogs -- one for maternity clothing and one for plus sizes -- were a success, allowing women to order privately and comfortably from their own homes. By 1917, catalog sales reached $1 million. The Lane Bryant catalog is still available today. Lane Bryant also sells special plus sizes, such as petites, talls and extended sizes for clothing (sizes 30W and 32W) and bras (up to cup size H). Some of the clothing also comes with tummy control technology. The store is also credited for creating the "Right Fit" style of jeans, designed to fit not only the size of a full-figured woman, but the shape as well. Each woman is measured at the waist and hips to determine the size of their jeans. The store's official website carries everything a retail branch does and more. Sign up for e-mail offers and receive periodic discounts in your inbox. The online store also allows you to shop clearance items and sales. LB2ME: If the store doesn't have the color and size of an item you want, and if it is available at another location, it will be shipped to you. Realwomendollars: Several times a year, shoppers will receive $25 realwomendollars for every $50 spent, which can be redeemed during certain shopping dates throughout the year. Lane Bryant is one of several thriving plus size clothing ventures. And what keeps it successful is not only the style and available sizes the garments come in, but also that the items are sold at a reasonable price.